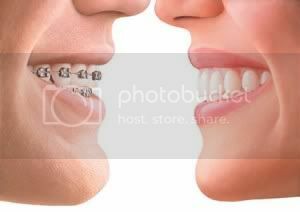 Many children growing up get braces to straighten and realign their teeth. If you missed out on straight teeth when you were a child, you’re not likely to want braces now, because the appearance of a “metal mouth” isn’t a plus for adults. However, in Los Angeles, Westside Dental Associates provides a way to get the same results you’d get from braces without anyone even realizing you’re wearing them. For people living in Los Angeles, Invisalign is a very popular solution for adults to obtain the smile they’ve always wanted. What is treatable with Invisalign? Anyone who has spaces between the teeth or crowded teeth are prime candidates. Invisalign can space your smile correctly, giving you beautiful, straight teeth. Patients with a crossbite, underbite, or overbite will also benefit through the use of Invisalign. Instead of metal and wires, Invisalign uses a series of clear aligners that are custom-made for you that will slowly and gently move your teeth to their right position. The aligners are usually switched out every two weeks or so, as your teeth progress to their ideal place, ultimately creating a gorgeous smile. For best results it is recommended that the aligners are worn twenty four hours a day, only removed for eating and drinking, after which you immediately brush and re-insert the aligners. Although results vary for each individual, in approximately a year, most adults have received the smile they’ve always wanted, without the hassle of metal constantly scraping the inside of their mouths and showing off a “tin grin” to the world. This is what Los Angeles cosmetic dentistry is all about! by: Les Latner at August 9, 2011 .